St Kilda is an inner suburb (neighbourhood) of the metropolitan area of Melbourne, Victoria, Australia, 6 km south-east of Melbourne's Central Business District. On the 9th (Thu), stroll through Brighton Beach, then tour the pleasant surroundings at St. Kilda Beach, then explore the landscape on two wheels at Catani Gardens, and finally stroll around Albert Park. For photos, reviews, other places to visit, and tourist information, you can read our St Kilda trip itinerary builder app . Lisbon, Portugal to St Kilda is an approximately 28-hour flight. You'll lose 10 hours traveling from Lisbon to St Kilda due to the time zone difference. Traveling from Lisbon in May, expect St Kilda to be a bit cooler, temps between 20°C and 10°C. Cap off your sightseeing on the 9th (Thu) early enough to travel to Manly. On the 10th (Fri), tour the pleasant surroundings at Shelly Beach, then enjoy the sea views from Barrenjoey Lighthouse, then kick back and relax at Palm Beach, and finally kick back and relax at Balmoral Beach, Mosman. On the 11th (Sat), you'll have a packed day of sightseeing: explore the wealth of natural beauty at Sydney Harbour National Park. To find traveler tips, where to stay, more things to do, and other tourist information, refer to the Manly trip itinerary builder . Traveling by combination of flight and ferry from St Kilda to Manly takes 4.5 hours. Alternatively, you can do a combination of shuttle, flight, and ferry; or drive. Expect somewhat warmer weather when traveling from St Kilda in May: highs in Manly hover around 24°C, while lows dip to 13°C. Wrap up your sightseeing on the 11th (Sat) early enough to travel to Mooloolaba. Your itinerary includes some good beach time at Maroochydore Beach and Bulcock Beach. 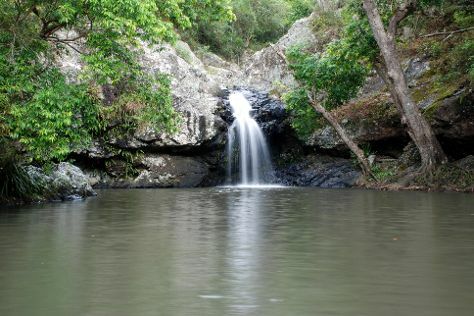 Step out of the city life by going to Kondalilla Falls and Marcoola Beach. You'll find plenty of places to visit near Mooloolaba: Maleny (Mary Cairncross Scenic Reserve & McCarthy's Lookout). There's lots more to do: see some colorful creatures with a scuba or snorkeling tour, walk around Mount Coolum, enjoy the sand and surf at Mooloolaba Beach, and take in the exciting artwork at Atrium Gallery at Buderim Craft Cottage. To find where to stay, reviews, more things to do, and tourist information, read our Mooloolaba trip planner. Do a combination of ferry and flight from Manly to Mooloolaba in 4 hours. Alternatively, you can drive; or do a combination of ferry and train. In May, daytime highs in Mooloolaba are 27°C, while nighttime lows are 15°C. Finish your sightseeing early on the 15th (Wed) to allow enough time to travel to Cairns. Discover out-of-the-way places like Spas and Cairns Tropical Zoo. Get outdoors at Scuba & Snorkeling and Hartley's Crocodile Adventures. There's still lots to do: trek along Esplanade Boardwalk, step off the mainland to explore Michaelmas Cay, admire the sheer force of Josephine Falls, and explore the galleries of Doongal Aboriginal Art Gallery Cairns. To find maps, traveler tips, reviews, and more tourist information, refer to the Cairns visit planner. You can fly from Mooloolaba to Cairns in 5.5 hours. Other options are to do a combination of bus and flight; or drive. Prepare for a bit warmer weather when traveling from Mooloolaba in May: high temperatures in Cairns hover around 32°C and lows are around 24°C. Finish your sightseeing early on the 19th (Sun) so you can travel to Darwin. Eschew the tourist crowds and head to Magnetic Termite Mounds and RFDS Darwin Tourist Facility. Get in touch with nature at Fishing Charters & Tours and Food Tours. Explore the numerous day-trip ideas around Darwin: Litchfield National Park (Wangi Falls & Florence Falls) and Territory Wildlife Park (in Berry Springs). Next up on the itinerary: learn about all things military at Darwin Aviation Museum, pause for some serene contemplation at St Mary Star of the Sea Catholic Cathedral, don't miss a visit to Cullen Bay Marina, and look for all kinds of wild species at East Point Reserve. To see other places to visit, reviews, maps, and more tourist information, you can read our Darwin trip itinerary planning site . Traveling by flight from Cairns to Darwin takes 4.5 hours. Alternatively, you can drive; or take a bus. When traveling from Cairns in May, plan for somewhat warmer days in Darwin, with highs around 38°C, while nights are about the same with lows around 26°C. Wrap up your sightseeing on the 24th (Fri) early enough to travel back home.